Subject: Implementation of the recommendation of 7th CPC on Over Time Allowance -reg. a copy of Government of India, Ministry of Personnel, Public Grievances & Pensions, Department of Personnel & training Office memorandum No.A-27016/03/2017-Estt. 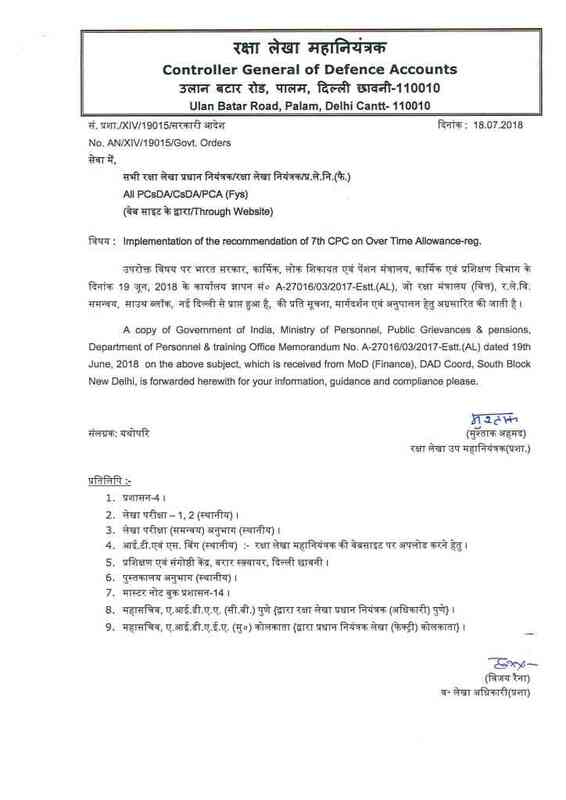 (AL) dated 19th June, 2018 on the above subject, which is received from MoD (Finance), DAD Coord, South Block New Delhi, is forwarded herewith for your information, guidance and compliance please.